Happy Wednesday, loves! Can't believe we're already halfway through the first week of the new year! 2016 is going to be a big one for me personally. 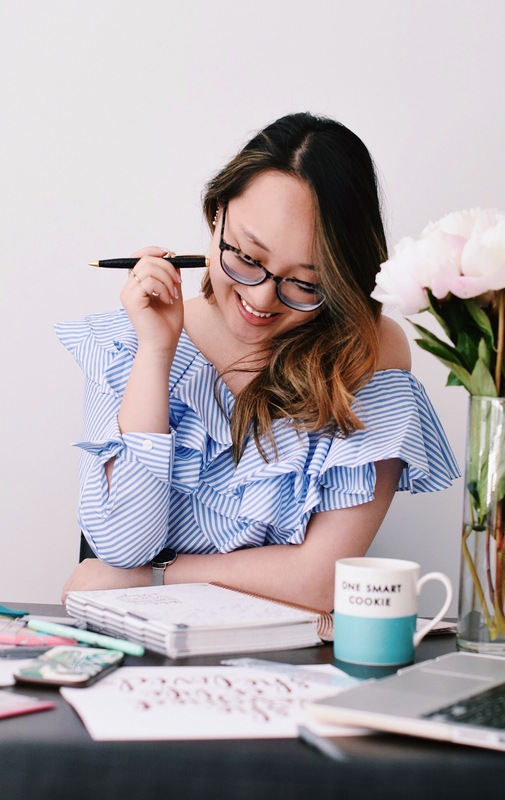 Having just graduated from college, I'm taking the next few months to try out this blogging thing full time ;D before starting a full-time job in the city. Can't wait to see what's in store these next couple of months though, and be prepared for a lot more frequent posts now that I've got plenty of time on my hands! If you have any suggestions, just shoot me an email or comment! For the time being, I've moved right back to my hometown and it is honestly nice to be back in the suburbs for a while. The weather has gotten insanely cold the past couple of days. Such a shock and a huge change since the holidays--Christmas was in the 70s over here! I totally regret wishing that it would get colder at that time. I'll take a "mild winter" any day. Well, on the bright side, it's finally time to pull out the overcoats and fur stoles and boots! I feel like my wardrobe has been in flux the last couple of months. I've curated a selection of winter coats over the past year and have barely touched them until now. 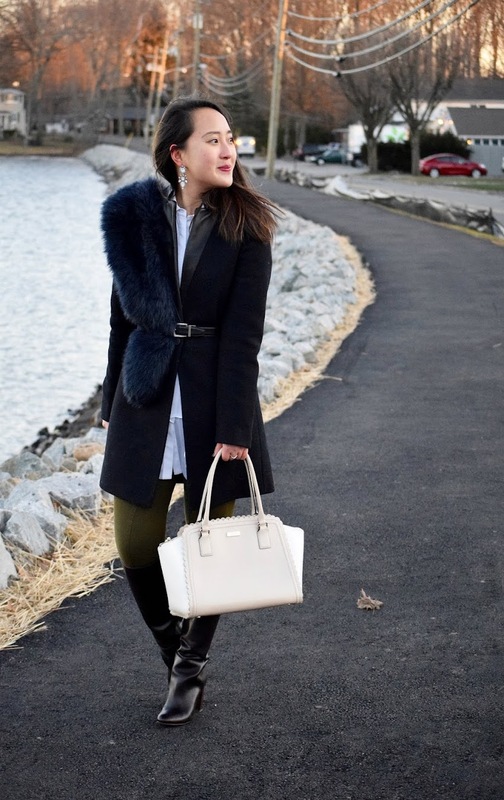 With the colder weather finally settling in, I can finally pull the overcoats out of their duster bags and take them on outings! I truly believe that a good coat can make any look and have been leaning towards a more tailored, single breasted design these days. *Swoosh* Classic hair flip. I think by the time we were taking this shot, my face was already frozen solid. Definitely not the best location choice for a shoot when the wind chill is at 0 degrees. At least I had my little fur stole to keep me warm! I've been seeing a trend of styling fur stoles just slung over the shoulder and I have to admit, I like the look a lot more than I would've originally thought. Great way to keep that stole in place? Belt it. Then, you don't have to worry about it getting all disfigured and falling off as you go about your day. Plus, I think the belt really brings the coat and stole together, and it begins to look like one statement piece instead of two. I was really influenced by British fashion in this look--maybe it's the single breasted coat, maybe it's the heeled riding boots, but I couldn't help thinking of my time in London as I put this look together. There's almost a refined kind of feeling from these pieces and I definitely think it has to do with the tailored fit of the overcoat.